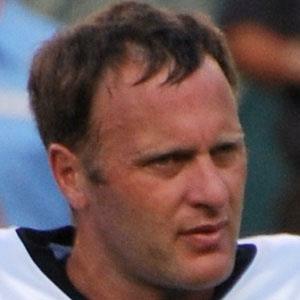 Former Australian Rules Football player became the NFL's oldest rookie at age 33. He was 13th overall in all-time goals scored during his 14-year career in the AFL. He signed with the Washington Redskins in 2011, after three seasons with the Philadelphia Eagles. He has a brother named Anthony. He became teammates with wide receiver Santana Moss on the Redskins in 2011.